“Erich Hoyt has spent much of his life on or near the sea, working with whales and dolphins and marine conservation. An award-winning author, he has written or co-written 21 books and hundreds of magazine articles on whales, dolphins, as well as ants, insects, wild plants and other subjects. His latest book is an all new version of an earlier title CREATURES OF THE DEEP (Nov. 2014, 288pp, 135 photos, hardcover, 9 x 11 inches) available on all the Amazon websites and from book stores everywhere. “In April 2013, at the annual European Cetacean Society conference, held in Portugal, Erich was given the society’s annual Mandy McMath Conservation Award for contributions to conservation. “Erich is currently Senior Research Fellow with WDC, Whale and Dolphin Conservation in the UK, and Head of WDC’s Global Campaign for Marine Protected Areas. For the past decade, he has jointly directed the first killer whale (orca) study in Russia (based in Kamchatka), as well as (since 2009) the Russian Cetacean Habitat Project — both of them international collaborations with Russian scientists. The Far East Russia Orca Project (FEROP) has won the prestigious Klüh Prize for Innovation in Science ($10,000 prize) from Germany. In 2007 Erich began working with the nonprofit marinebio.org site as director of Marine Mammals. In 2008-09, he co-chaired the program committee and was a member of the steering committee for the first ever conference on marine mammal protected areas (www.icmmpa.org), held in Hawaii. After helping to organize the second conference in Martinique in November 2011 and the third conference in Adelaide, Australia, in November 2014, and editing the proceedings, he is currently helping to plan a fourth conference in Mexico for 2016. “In December 2010 he helped organize the program and was keynote speaker at the United Nations University in Tokyo, Japan, for the ‘New Tales about Whales in Science, Society and Art’ Symposium and the Global Whale Watching Conference. In tandem with these events, he helped produce a successful art gallery exposition — sponsored by philanthropist Peter Hall for The Beautiful Whale Project — that brought US photographer Bryant Austin’s life-size whale photographs to Japan for the first time and featured the animations of Japanese artist Haruyoshi Kawai. “Erich has researched and written numerous conservation and scientific reports as a consultant and advisor for international conservation groups and governments and is considered an authority on whales and dolphins, marine-protected areas and marine conservation, whale watching and ecotourism. 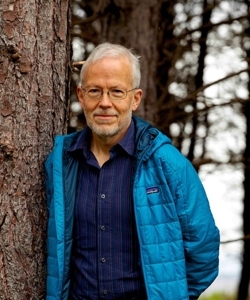 He has lectured and worked on conservation and scientific projects in Japan, Russia, Indonesia, Taiwan, Iceland, Mexico, Chile, and the Caribbean. He has also taught as a visiting lecturer at the Ohio State University, the University of Edinburgh, and the Massachusetts Institute of Technology (MIT). Twice a James Thurber Writer-in-Residence, and a Vannevar Bush Fellow at MIT and Harvard in 1985-86, he participated as a Kava Bowl Ocean Summit Fellow at the East-West Center in Hawaii in June 2011 to discuss and plot strategies around the question: How much is the ocean worth to you? “Erich’s magazine and newspaper credits include: National Geographic, New Scientist, Canadian Geographic, The Sunday Times (London), The Guardian, The New York Times, Defenders, International Wildlife. he has 15 magazine and book awards including the Outstanding Book of the Year Award from the American Society of Journalists & Authors, Inc., in New York (2002). Three of his adult nonfiction books, The Earth Dwellers, Insect Lives, and Orca: The Whale Called Killer have been optioned for films. His books for children include Weird Sea Creatures (June 2013), Whale Rescue, Meeting the Whales and Riding with the Dolphins (all published by Firefly Books) and Extinction A-Z. His first book, Orca: The Whale Called Killer is still available after 30 years in Japanese and English and in an ebook edition. His other books have been translated into Chinese, German, Danish, Spanish, French, Italian, Dutch and other languages. Find out more about Erich Hoyt’s books, bio and free downloads here. You can follow the facebook page here or follow Erich Hoyt on twitter here. Feb. 11, 2015. Protecting Marine Mammal Habitat. University of Oxford, Oxford, England. Dec. 3, 2014. Keynote Talk. Protecting Homes for Marine Mammals. Where we are now and ideas to take us further. South American Aquatic Mammal Conference, Cartagena, Colombia. Nov. 14, 2014. Introducing Important Marine Mammal Areas (IMMAs) with Giuseppe Notarbartolo di Sciara. IUCN World Parks Congress, Sydney, Australia. Nov. 10, 2014. Public Talk. Of Orcas, Ants and Creatures of the Deep. Adelaide, Australia. Nov. 9, 2014. Keynote Talk. The Big and Small of Marine Mammal Protected Areas and Why We Need Important Marine Mammal Areas (IMMAs). ICMMPA3, Adelaide, Australia. June 4, 2014. Keynote Talk. Whale and Dolphin Watching Japan Association Conference. Tokyo, Japan. May 20, 2014. Talk. The Whale Trail Presents Orca Tour 2014. Vancouver Public Library, Vancouver, BC, Canada. May 18, 2014. Talk. The Whale Trail Presents Orca Tour 2014. McCaw Theatre, Seattle Centre, Seattle, WA, USA. May 15, 2014. Talk. The Whale Trail Presents Orca Tour 2014. Monterey Bay National Marine Sanctuary Exploration Center, Santa Cruz, CA, USA. May 14, 2014. Talk. The Whale Trail Presents Orca Tour 2014. Monterey, CA, USA. May 13, 2014. Talk. The Whale Trail Presents Orca Tour 2014. Aquarium on the Bay, Pier 59, San Francisco, CA, USA. May 10, 2014. Talk. The Whale Trail Presents Orca Tour 2014. Oregon Coast Aquarium, Newport, OR, USA. May 8, 2014. Talk. The Whale Trail Presents Orca Tour 2014. Port Angeles, Washington, USA. May 7, 2014. Talk. The Whale Trail Presents Orca Tour 2014. Port Townsend, Washington, USA. May 3, 2014. Talk. The Whale Trail Presents Orca Tour 2014. Saturna Island, BC, Canada. Mar. 15, 2014. Whales & Weird Sea Creatures Presentation. WhaleFest 2014, Brighton, England. Mar. 16, 2014. Whales & Weird Sea Creatures Presentation. WhaleFest 2014, Brighton, England. Feb. 21, 2014. Homes for Whales & Dolphins Talk. OrcaFest 2014, Grundarfjordur, Iceland. Feb. 18, 2014. Orca Talk. OrcaFest 2014, Grundarfjordur, Iceland. June 6, 2013. Talk and workshop. Managing noise in the sea in relation to marine mammals. Workshop sponsored by WWF-Canada, Vancouver, BC, Canada. June 5, 2013. “Making Homes for Whales and Dolphins: from Robson Bight to Kamchatka, the Commander Islands and beyond”, Vancouver Public Aquarium, Vancouver, BC, Canada. May 15, 2013. “Homes for Whales & Dolphins in Scotland & Around the World” and Introducing Mike Bossley “Protecting Dolphins in an Australian Slum”, Scottish Seabird Centre, North Berwick, Scotland. April 9, 2013. “Protecting the special places where whales and dolphins live: Turning ‘paper parks’ into ‘oceanic art treasures’ worth saving”, European Cetacean Society keynote talk, Setúbal, Portugal. Feb. 19, 2013. “Killer whales in Canada and Russia from Stubbs to Iceberg”, Winter Killer Whale Festival, Grindafjordur, Iceland. Dec. 5, 2012: “Making Homes for Whales & Dolphins”, The Geological Society, London, UK. Oct. 25, 2012. “Identifying & Protecting the Critical Habitat of Whales & Dolphins,” Whale Fest, Planet Whale Conference, Brighton, UK. Mar. 10-11, 2012. “Making Homes for Whales & Dolphins”, and “The Secret Lives of Orcas & The People Who Study Them”, Dunbar’s Science Festival, Dunbar PS, John Muir Campus, Dunbar, Scotland. Nov. 7, 2011. Closing Keynote, Second International Conference on Marine Mammal Protected Areas, Fort-de-France, Martinique. Oct. 26, 2011, “Homes for Whales & Dolphins around the World and in the Mediterranean”, IMMRAC, Israel Cetaceans, Risks & Chances, Ashdod Port Convention Center, Israel. Oct. 19, 2011, Keynote: “Whale Watching Worldwide with a View to Management in the Wider Caribbean”, Marine Mammal Watching Workshop, Panama. To book a talk, contact info <at> erichhoytbooks.com.